Elegant, historic cast iron wrapped over steel. 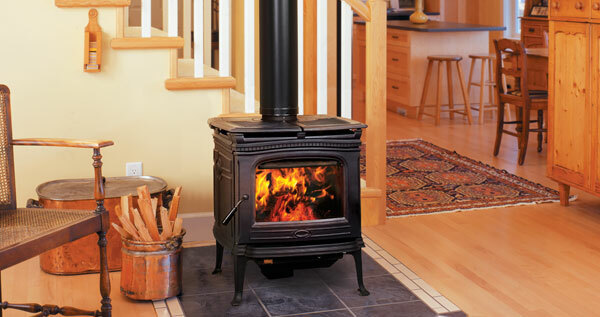 Offering radiant and convective heat, a concealed cook-top, and a huge glass window for a clean view of the flame, the Alderlea wood heater combines old world charm and unmatched durability. Makes a bold statement with its tall profile for easy loading, and modern design.